Just when you thought Paris couldn’t get any more romantic! 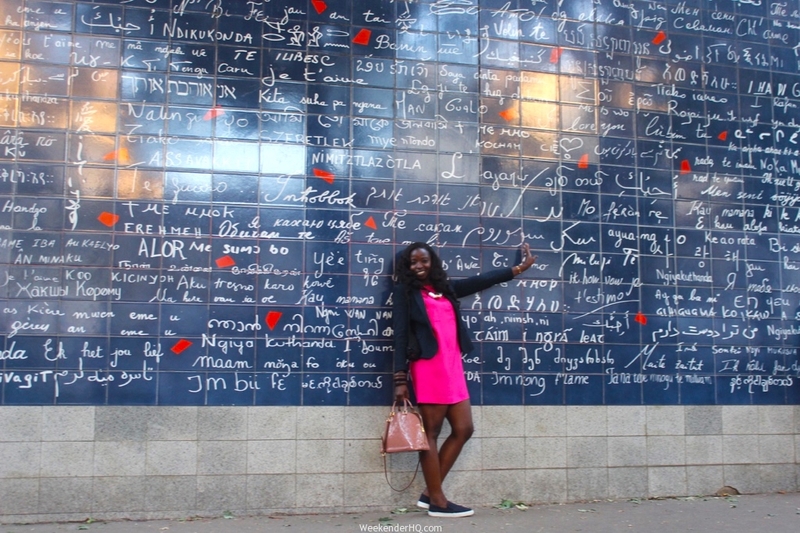 In the Abbesses garden at Montmartre is a 40 square metres wall where the phrase “I love you” is presented 311 times in 250 languages! The composer Frédéric Baron envisioned this idea and then he started asking friends to translate the universal declaration of love in their own languages, then he called people at embassies. It is a must-see for love lovers and art lovers from all over the world visiting Paris, the city of romance. As sang by the Beatles, “All you need is love! love!” I couldn’t find love in my native language on the wall though, “Mo nifẹẹ rẹ”. Take a look, can you find yours?